provided by the Secret Files: Tunguska team. It was early in the morning on June 30, 1908 when the natives saw the light tearing across the sky. The bright light soared as if to challenge the sun. Only a moment later, the object at the center of the light exploded in an incredible flash. A shockwave of extraordinary magnitude hit the Tunguska area. The entire land was devastated in a matter of seconds. Estimated to be larger than ten megatons, the blast's impact was felt thousands of kilometers away from the source. There are many hypotheses as to what caused the Tunguska incident. The popular theories range from a meteor explosion to a visit from aliens. Some argue the explosion was caused by anti-matter and matter coming into contact while others propose that it was caused by a black hole. After several expeditions to the site of the event, a definitive explanation still eludes scientists. What truly happened in Tunguska almost a century ago still remains a mystery. It is this curious mystery that inspired Secret Files: Tunguska. 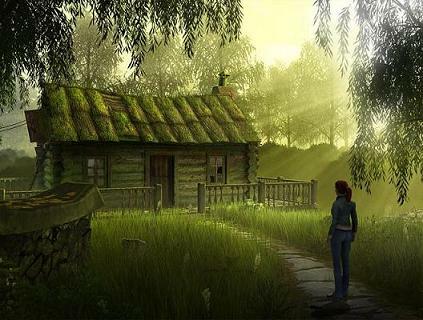 Secret Files is a traditional point-and-click adventure game that is currently being developed by Deep Silver. 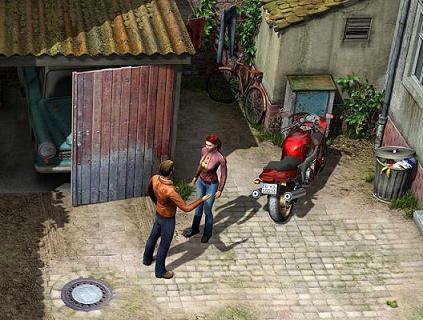 Secret Files is the story of the young attractive mechanic Nina Kalenkov. On a quest to find her missing father, Nina will travel all over the world and uncover a great conspiracy. Why is Nina’s father so important? How is he related to the Tunguska incident? What was really behind the catastrophic explosion? You can unlock the mystery and discover the truth in Secret Files: Tunguska. Can you tell us a little more about the story? Perhaps some more information about Nina and how her adventure will begin? Secret Files: Tunguska Team: Nina is torn from her day-to-day routine when she finds out her father has disappeared without a trace. As the police cannot help her (or will not? ), Nina sets off to look for clues as to her father's whereabouts. She thereby meets Max Gruber, a young colleague of her father who spontaneously offers to help the attractive young lady. Both quickly find out that Nina's father had something to do with an expedition to Siberia which was carried out to research into the causes of the mysterious Tunguska catastrophe of 1908. At that time a mighty explosion triggered an inferno and the causes remain a mystery until today. Nina and Max soon realise that the events back then must have something to do with her father's disappearance. The search for answers leads Nina and Max to the most remote corners of the world (Berlin, Moscow, Cuba, China, the Antarctic etc.). It soon thereby becomes clear that powerful adversaries are also interested in Nina's father's secret. In the end it becomes clear that there is much more at stake than just the disappearance of an old man. What kind of puzzles can we expect? A lot of inventory-based challenges? SFT Team: Lead Designer Jörg Beilschmidt has concentrated almost entirely on the classic puzzle theme in "Secret Files: Tunguska" i.e. one must solve tasks by using and/or combining objects. Especially in the beginning NPCs give helpful hints which are contained in conversations. Towards the end of the game there are less and less tips. We want to finally create an adventure that starts easy with an increasing level of difficulty as the game progresses. On top of this there just a small number of machine puzzles which also feature a help function which can be used to simplify the solving of the puzzle if desired. Sometimes Max and Nina even solve puzzles as a team. This means that the player steps into the role of the characters of Max and Nina alternately in order to solve the puzzles. We have mainly concentrated on inventory puzzles but we are also try to ensure a varied puzzle design. Will the game feature a lot of character interaction? SFT Team: The game offers a variety of interaction possibilities. Depending on the type of puzzle, the player has the possibility of speaking with various additional characters, exchanging objects or simply using the NPCs in various ways for his own purposes. Nina can thus listen in on a telephone conversation with the help of a cat … how does she do that? That will not be revealed here as it is part of a puzzle. Because we have so many NPCs, it was especially important for us that they were perfectly integrated within the game world. We didn't just want to make them pure information and task carriers but have given each of the over 40 individual characters a complex background. The player thus always has the feeling that he is walking through a living world in which other people do not just exist to make his life easier or more difficult. What sort of locations can the players expect to explore? SFT Team: Nina and Max travel across virtually the whole world in search of Nina's father. They both must survive dangerous adventures in Germany (Berlin), Moscow (Military Station, Trans-Siberian Railway, Tunguska region), Cuba (near Havana), China (the Himalayas, Tibetan border region) and the Antarctic. Animation Arts has ensured boredom and lengthiness is avoided during the game by making sure that each location has its own special atmosphere and feeling. This will not only be represented graphically but also in the form of completely different NPCs. A completely different set of people will (normally) be found sitting in an Irish pub than in a Cuban asylum. Will the game have any action element or will it be a pure adventure? SFT Team: "Secret Files: Tunguska" will concentrate on the strengths of the classic examples of its genre, i.e. it is a classic adventure game without action sequences. Both main characters Nina and Max also do not die and there are no time-limited puzzles. The player can of course save the game at any point. The strengths of "Secret Files: Tunguska" are the exciting, varied and atmospheric story combined with tricky puzzles and detailed graphics. Are there any other details about the game you would like to provide for our readers? SFT Team: The so-called hotspot-display can be used in Tunguska in order to avoid annoying screen searches. Important locations and objects are highlighted by small icons via a mouse-click. A diary quickly brings players who haven't played for some days back up to date. (Don't worry, the diary does not consist of pages of entries but just concentrates on the main events). 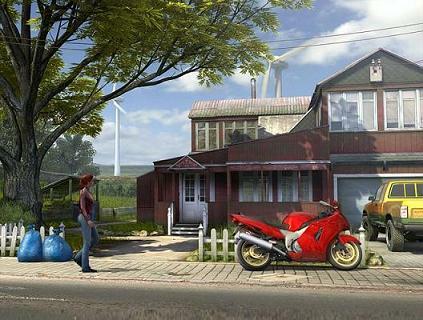 In addition the developers have decided to employ a complete 3D-engine, but are using 2D backgrounds which are common to the genre. This has the simple reason that they are clearer, more detailed and can be atmospherically displayed. The 3D-engine is used to generate various effects such as animated clouds, rakes, smoke, fog, as well as certain animals such as birds or butterflies to prevent the 2D-background from seeming cold and sterile. This thus means the best of both worlds (2D and 3D) has been used. The characters have been cast completely with Motion Capturing for the entire game (not just for the intermediate sequences) in order to make the 3D-figures appear as realistic as possible. Laboriously recorded and atmospheric background noises, an accentuated soundtrack and professional voice output round off "Secret Files: Tunguska". 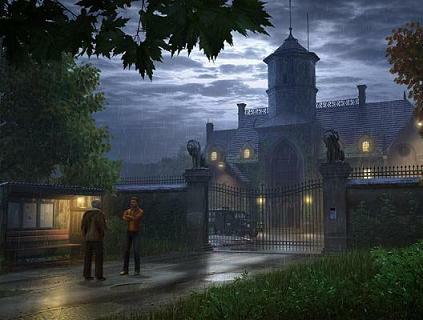 Many thanks to the Secret Files team for providing us detailed information about their upcoming game. Secret Files: Tunguska is currently scheduled for a 2006 second quarter release. To find out more information about the game you can visit the official site at www.Tunguska-Game.com.